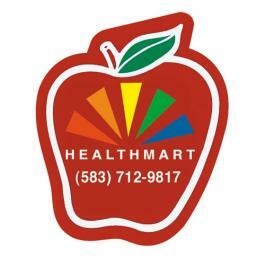 Why Does a Custom Apple Shaped Magnet with Full Color becomes an Easy Substitute for Promotions and Awareness Building? Apple pie is the most eaten dessert around the world. Promoting produce stands and apple orchards –It makes an apt choice for promoting these businesses because both are more or less apple-centric in behavior. Going by trends, many fresh produce stands and apple orchards are resorting unique promotional tokens to reach out to people and apple magnet is just one of them. They are largely handing it out during business hours or during tradeshows and other promotional events. They know buying it from any reputed online magnet store comes with its own set of benefits. School Giveaways – Personalized apple shaped magnet with full color printing makes one of the wonderful school giveaways due to its impressive shape. It suits elementary schools, play groups, study groups, etc. Children easily take liking for it and feel extreme pride in getting it tucked over their refrigerator doors or study cabinets. Parents also love reminding kids about their responsibilities by showing some enthusiastic token as this magnet. Healthcare Campaigning – Apple shaped magnets make an interesting addition to any healthcare campaigning because it largely reflects the thought “an apple a day keeps a doctor away”. Healthcare programs, nutritionists and individuals fighting against causes – all can seek this magnet for value building. Child Care & Child Labor Awareness – As suggested before an apple is a glorious symbol of childhood and the fascination with this fruit continues until late in adulthood. 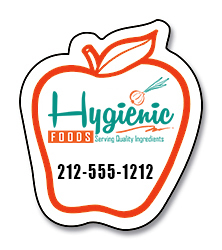 If you wish to exploit this emotional connection, then, grab these imprinted apple shaped full color magnets and start building awareness. People would be happier to collect this magnet and showcase it over their refrigerator doors or other visible metal surfaces within home due to its inspiring shape. You can strongly object and challenge the people involved in child abuse and child labor by distributing these magnets during next social event or campaigning, etc. You can explore thousand ways of expressing your sentiments, words and thoughts these fruit shaped magnets apple. By buying such custom magnets from a reputed online store, you are targeting benefits in the form of free shipping, free art set up and free online design proof.